Detroit Regional Conference - A Great Success! 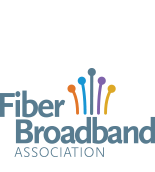 Thank you to all who attended this conference, you took the first step toward achieving ultra-high‐speed broadband—and economic growth—for your own community.We learned how Detroit has invested in fiber broadband infrastructure to help spur economic and technological growth throughout the city and learned how to get fiber deployed. The value proposition of building gigabit networks was explored, as well as best practices for managing implementation. Detroit development in the News.